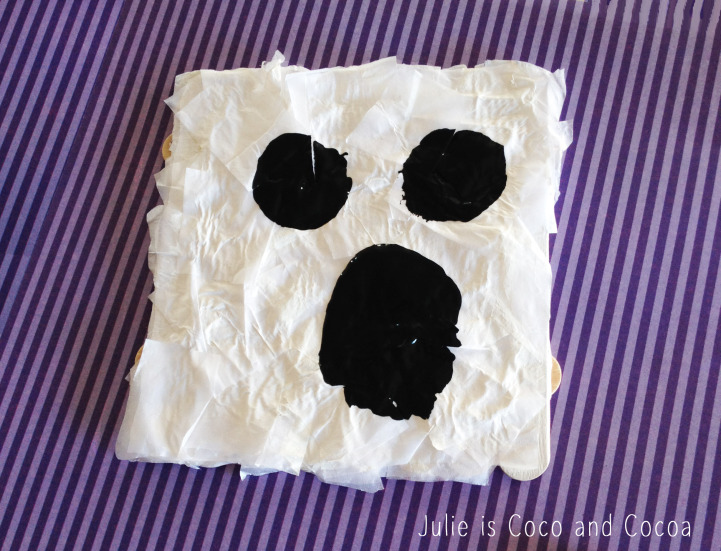 How handy that we could make ghosts for our letter G activity this week? 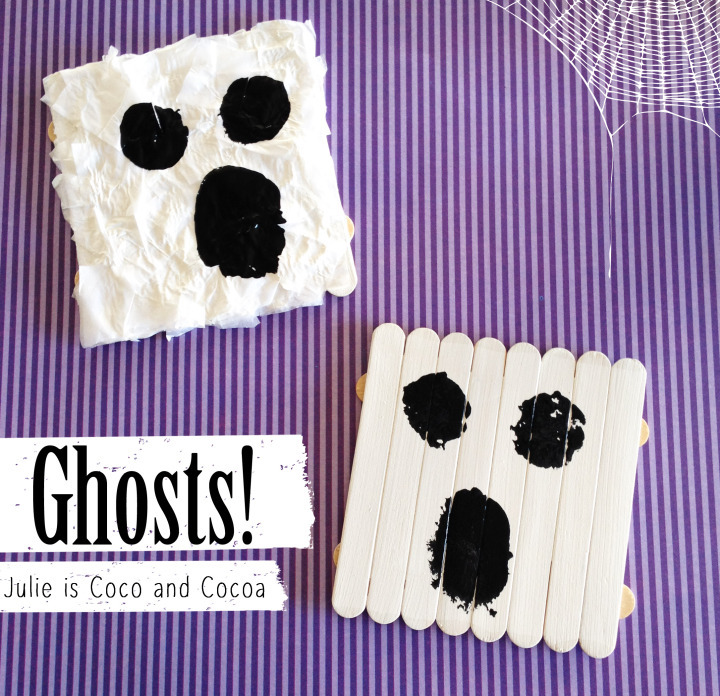 We made two variations of these friendly ghosts. 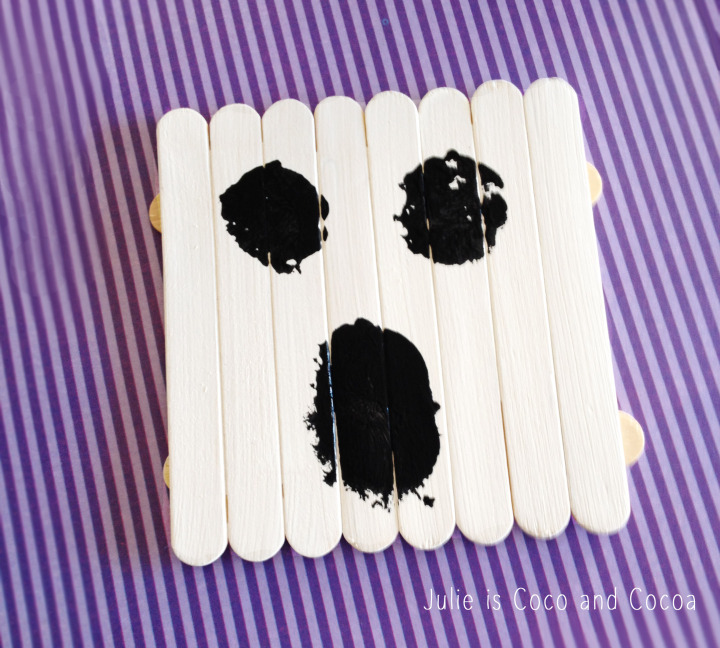 First a simple popsicle stick ghost. And the second started the same as the first with the addition of a bunch of tissue paper squares glued on the top. Then we used a cotton ball dipped in black paint to add the faces. This was great because it was simple enough for Littlest to do with help from his big brother (Oldest Twin). And I just got to supervise! With just over two weeks until Halloween I think the kids have narrowed down their costume choices. We always seem to wait until the last minute. 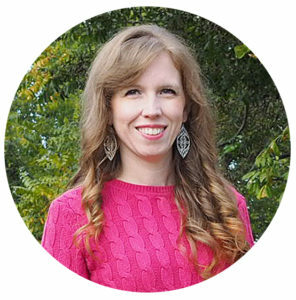 I’m hoping we can get to the store this weekend to get all the needed components. How is your Halloween costume shopping/making going? What a cute craft! I love ones that the kids can do mostly on their own!